On March 8, 2014 Malasyia Airlines (MAS) flight MH370 disappeared without a trace. Although there has been much speculation, no one knows for certain what exactly happened to the Boeing 777. Just over four months later on July 17, 2014, the airline lost another of its triple-sevens, flight MH17 after it was shot down over Ukraine. In a testament to the resilience and strength of Malaysia Airlines staff, in the dark days and months after these tragedies, the airline continued to fly. Its website continued to take bookings. Ground staff continued to check in passengers and dispatch flights. Pilots still flew its planes. Cabin crew still put on their stunning uniform, packed their crew bags, painted on a smile and headed to the airport. Today, despite some financial difficulties and re-structuring, MAS is slowly getting back on its feet. Its website is still taking bookings. Time is a great healer. It mends broken hearts, and memories of the initial pain and suffering after the loss of MH17 and MH370, gradually fades. But there’s still sadness, there’s still emotion and there is still fear. Some crew chose to hang up their wings, too scared and too upset to ever fly again. Those that are still flying do so with a heavy heart, deeply traumatised after losing 21 of their cabin crew colleagues and six pilots, in such a short space of time. So here, in a tribute to the iconic airline, we not only remember the fallen Malaysia Airlines cabin crew of flights MH370 and MH17, we too remember the crews that are still flying. Those who continue to carry out their duties to the best of their abilities. 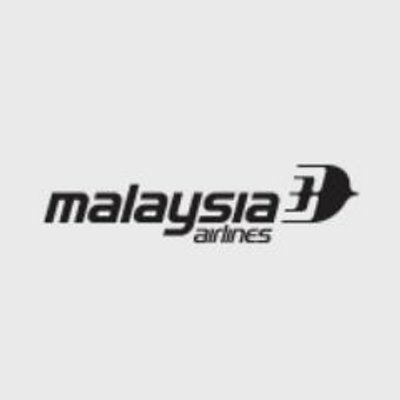 To our cabin crew and flight deck brothers and sisters at Malaysia Airlines, the thoughts and prayers of your aviation family from around the world are with you. By 1972, the Singapore government wanted to set up their own carrier. MSA’s assets were split between the new carriers, Singapore Airlines and Malaysia Airline System. In 2012 the airline celebrated its 40th anniversary and rolled out one of their Boeing 737-800’s in the original 1972 ‘Malaysian Airlines System’ livery. MAS has won over 100 awards in the last decade alone, including Skytrax’s ‘Best Cabin Crew’ in 2001-2004, 2007, 2009, 2012. Malaysia Airlines achieved a significant milestone in 2012 when it received its first Airbus A380-800. On 1 July 2012, Malaysia Airlines cemented its position as one of the leading airlines in the world with the historic launch of its A380 scheduled service between KL International Airport and London Heathrow. Sadly the airline has recently revealed plans to sell off its fleet of ‘super-jumbo’s’ in an effort to stem mounting losses. In July 2017 Malaysia Airlines introduced a brand new livery in preparation for the arrival of its new Airbus A350 aircraft. The “Negaraku” livery forms part of a Malaysian government initiative aimed at “fostering unity among all and inspiring the spirit of patriotism”. On November 30, 2017 MAS received the first of six A350-900’s it has on order and introduced the state-of-the-art jet on to its flagship LHR service On January 15, 2018. The airlines crew are still struggling to come to terms with losing 21 of their colleagues in just a few months on MH370 and MH17. On March 8, 2014 Malaysia Airlines flight MH370, a Boeing 777-2H6ER (9M-MRO) took off from Kuala Lumpur International Airport (KUL) bound for Beijing Capital International Airport (PEK). Onboard were 227 passengers and 12 crew. The disappearance of the jet remains a mystery and despite extensive searches, no wreckage has been found. Wan Swaid Bin Wan Ismail pictured here with his family. He joined MAS in 1995 and was leading Seward on MH370. A tribute to MH370’s Angels Of The Sky. Flight MH17 took off from Amsterdam’s Schiphol Airport (AMS) on July 17, 2014 bound for Kuala Lumpur International Airport (KUL). The aircraft was a Boeing 777-2H6ER (9M-MRD) with 283 passengers and 15 crew members. Contact with the jet was lost at 1415 GMT after the 777 was shot down near the village of Hrabove north of Torez, in eastern Ukraine’s Donetsk Oblast, as it approached the Russian border, there were no survivors. Captain Wan Amran Bin Wan Hussin, 50. Malaysia Airlines Angels of the Sky MH17. Beautifully expressed, COATD. Painfully sad. If we are safe in Jesus, we need not worry about what will happen to us on our daily life, may peace and love overcome each and everyone. Caring more about you at Delta Air Lines. Thank you ,all the wishes and prayers are with you! Rip flight attendants/Crew dont die they just fly higher. My Deepest condolences to the grieving families of the Flight Crew. May their souls rest in Peace. Thank you for this positive and encouraging post. Everyone is focussing on the tragedies but failed to realise that the airliner and its employees are still putting up a brave face and carry on their duties. It is not easy when one hears criticism about MH outside Malaysia. It almost feel like all Malaysians are put to shame by such tragedies. I am a Malaysian. And I am proud to be. Thank you again for your post. I am not one to be easily shaken after 25 years as a cabin crew but these 2 tragedies have really left me greatly saddened over the loss of my colleagues and friends. I am also very touched by all the wishes and support extended by cabin crew of airlines around the world. My heart is very encouraged and warmed by the fact that all of you share our pain in our time of grief. I am very thankful to all of you, my dear fellow cabin crew. May you continue to have blue skies and safe landings everywhere you fly. God Blessings to all of you and may Angels protect you always. correction:i m never be on mh 370 and i have no idea where is the source came from?